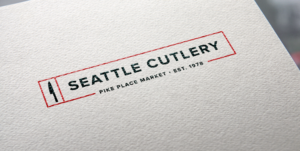 Re-brand of the iconic cutlery store of Pike Place Market, Seattle Washington. The Seattle Cutlery store in the Pike Place Market, downtown Seattle, has been there for decades and is visited by people from all over the world. They offer high-end and specialty knives for kitchen and outdoors. 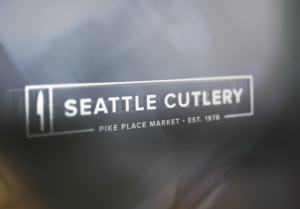 As a long standing brand, re-branding Seattle Cutlery was no light task. 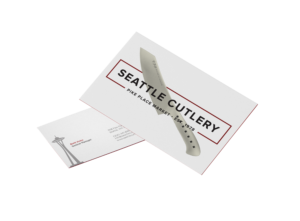 We worked closely with the Seattle Cutlery team to capture the essence of who they are to update their brand and bring them into a more modern look and feel while following their core brand. 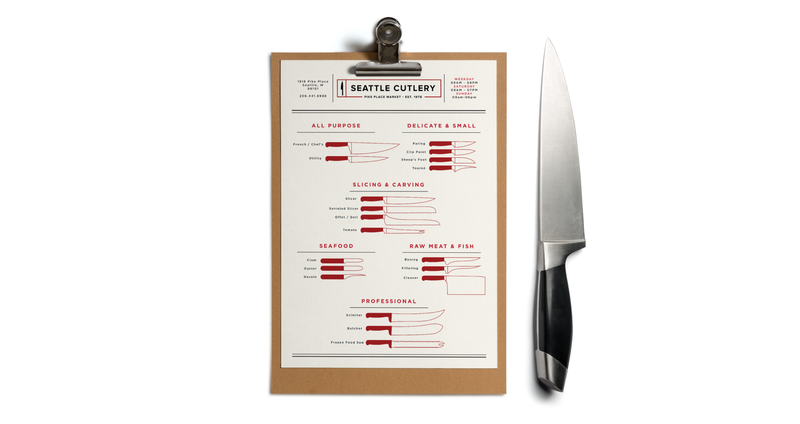 In addition to the standard business cards, logo, colors, and stationary of a re-brand, we designed through the re-brand was a knife menu of sorts showing people different kitchen knife designs and their uses with an easily understood outline of the knives. 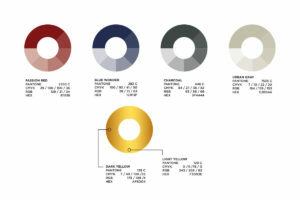 Clean lines and simple iconography went well with the aesthetics of the brand. The other focus for us during the re-brand was to create bags that people would leave the store carrying product in that would show where they had just been. 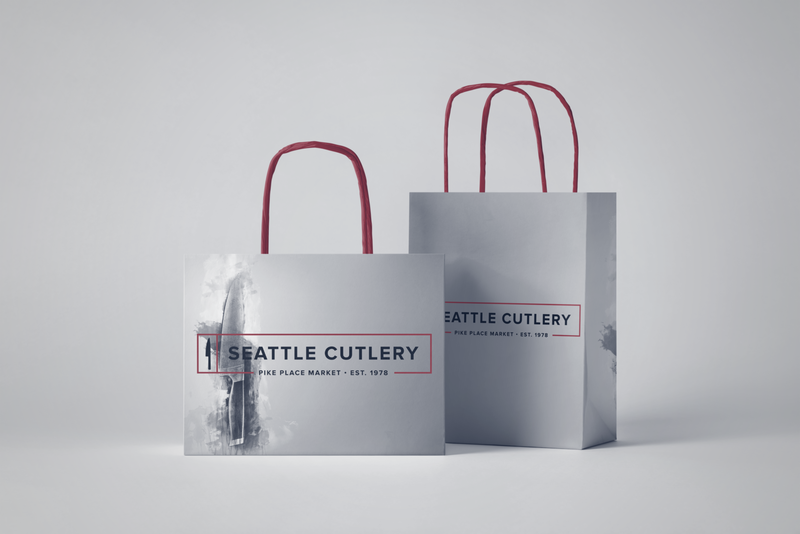 Bags and other post purchase packaging are an often over-looked opportunity for stores to advertise themselves, and in a place like Pike Place Market, we couldn’t miss the opportunity for massive foot-traffic who would be seeing these bags around the market place.